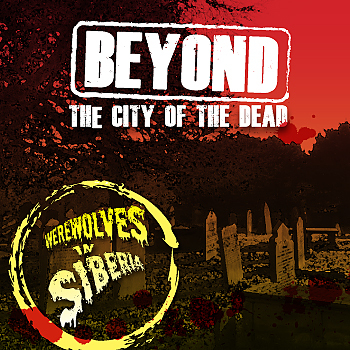 Lycanthropic Dreamscape from Beyond the City of the Dead streaming! Couldn’t wait for the art to get finished for Beyond the City of the Dead… just had to post a song off of it. This is similar art to what will be used, but not the final thing by any means. Sit back and enjoy a brand new werewolf-themed tune from Werewolves in Siberia. Album out March, 2014 with the cassette available through Graveyard Calling. The second album is finished, the master is in-hand. Giving a few listens to make sure nothing got mixed up in the mastering process. The art has been started and, while not quite finished yet, I can say it’s looking great so far. We’re looking at an early March release date with the cassette release through Graveyard Calling Horror Records at the same time the digital version is available. Speaking of Graveyard Calling, The Rising is available on cassette through the label. There were only 50 made and when they’re gone, they’re gone. The art by Travis Berg, alone, is worth picking this one up. It’s the ultimate collector’s item for the WIS fan. You can find it HERE. On top of the new album, WIS is hard at work on the soundtrack for indie UK horror film, Post|Human, by Monkey Puzzle Cinema. On Christmas Eve the first teaser trailer was released and featured “Ghosts”, a WIS song written specifically for the movie. Check it out here! Now that you’re done spending all your money on everyone else, spoil yourself with a Jeremy Wheeler-designed Werewolves in Siberia t-shirt from the merch store.